Joining sister-ships ms Thomas Hardy, ms Emily Brontëand ms Oscar Wilde, the 169-guest Robert Burns entered service for Riviera River Cruises in April of 2018. 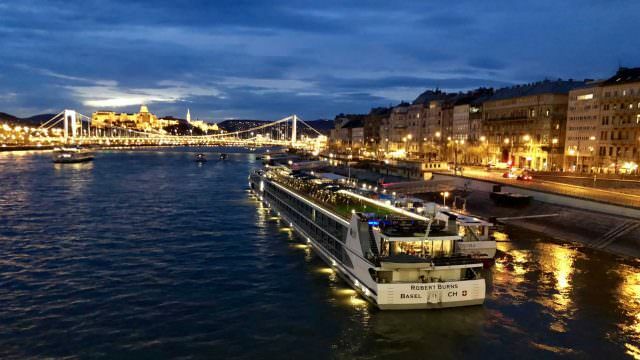 The new ship primarily operates river cruises on the Upper and Lower Danube, as well as the Rhine. She is named after Scottish poet Robert Burns, who is perhaps most famous worldwide for penning the lyrics to the popular New Year’s song, Auld Lang Syne. The Robert Burns has a good degree of similarity with her sisters, all of which debuted in 2017. Throughout the ship, wood and earth tones create a soothing atmosphere. 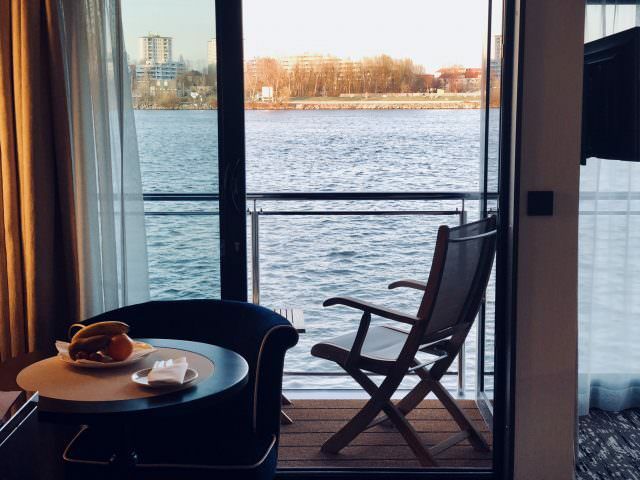 Plenty of seating options are available in the ship’s main public rooms, which include the Restaurant, the Panorama Lounge, and the more casual Bistro located all the way aft on Diamond Deck. A spacious Sun Deck allows for guests to relax under shaded loungers, or take in the sun on open seating forward of the bridge. 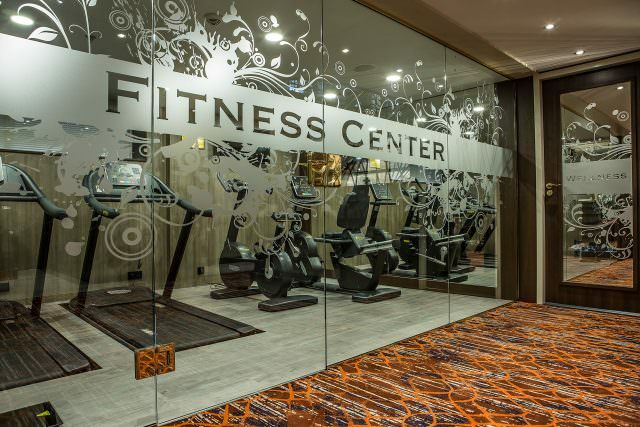 A jogging track, fitness center and small salon round out the list of amenities available to guests onboard. Accommodations are similar to those found aboard the Thomas Hardy, Emily Brontë and Oscar Wilde. 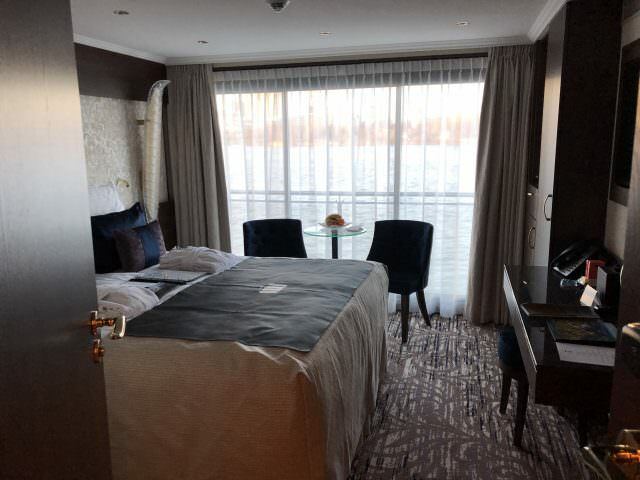 Deluxe Balcony Suites are the largest type of accommodations aboard the Robert Burns. These 269-square-foot suites have an enlarged living and sleeping area, along with a full-step out balcony complete with two chairs and a small table. Like her sisters, the ms Robert Burns has a well-equipped Fitness Center onboard. Photo courtesy Riviera River Cruises. The Robert Burns features a small pool and putting green located on the Sun Deck, plus a small spa and hair salon. Bicycles are available for those who want to pedal ashore. Meals in The Restaurant are buffet-style, except for dinners, which are four-course affairs. A Bistro is situated aft overlooking the ship’s stern, and provides lunch and dinner, and a complimentary 24-hour coffee station with pastries and other goodies.